Here at Ashville Concrete, we pride ourselves on providing the finest quality Ready Mix Screed Wokingham with our fleet of modern Volumetric lorries. We offer a reliable and professional service and Concrete Products for commercial, domestic and agricultural use. 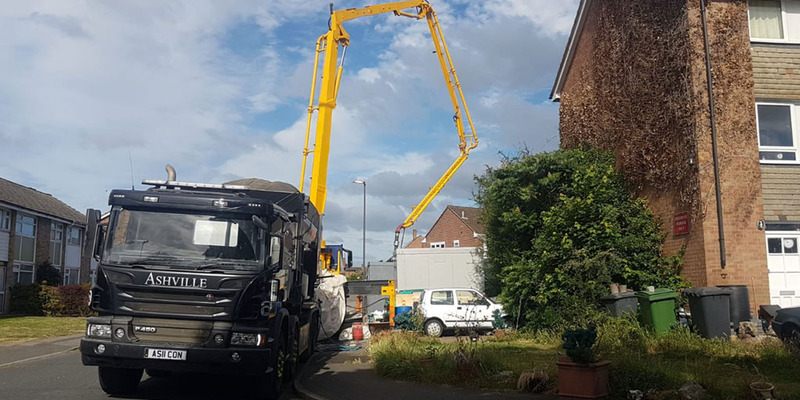 Our fleet of state-of-the-art Volumetric Mixing Lorries allow us to arrive on location and create the exact amount of Ready Mix Screed Wokingham you require. Our volumetric lorries act as a mobile batching plants. The latest in technology, calibration equipment and software ensure a precise mixtures which produce quality products. We’re proud to operate for you 24 hours a day, seven days a week and strive to provide you with Ready Mix Screed Wokingham on a same or next day basis. Our fleet of lorries are cleaned and maintained regularly and meticulously.